As a professional firearms instructor, I know that you never learn it all. And it is important to take additional training from other instructors and organizations to stay on top of your game. So when a former boss gave me a Front Sight Legacy Membership which included a lot of free classes, I took the opportunity to start with their basic 2 Day Defensive Handgun class So how did it go? 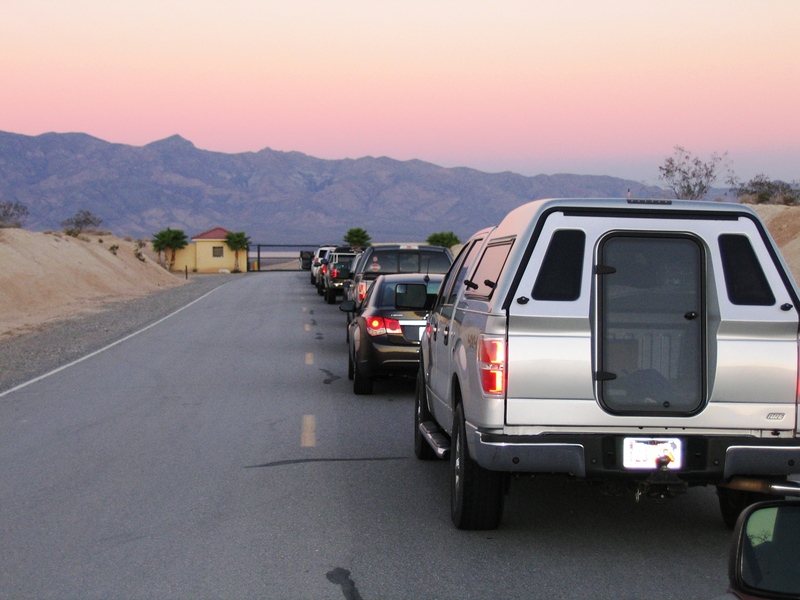 Front Sight is a 550 acre world-class training facility just 45 minutes from Las Vegas Nevada near the town of Pahrump. The current facilities include 24 shooting ranges for handguns, shotguns and rifles. These ranges have both static and moving targets. Front Sight also has a 450 person fully air-conditioned classroom, modern restroom facilities, a retail store, a gunsmith facility, a martial arts and edged weapons gym, a rope, rappel and climb facility including zip lines, 8 live fire simulator ranges with shoot houses, UTM simulators, laser simulators, underground tunnel simulators and food service for breakfast and lunch. 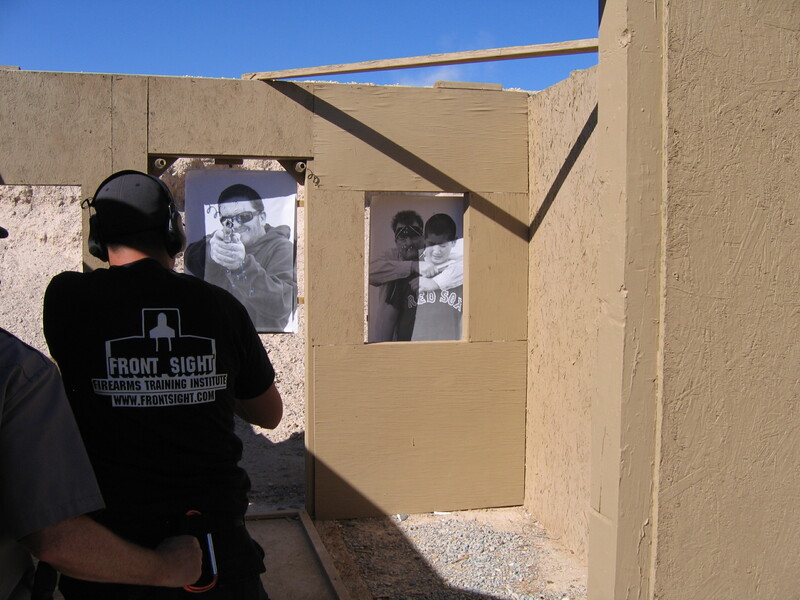 Front Sight offers a large variety of firearms training classes for handgun, rifle, shotgun, sub machine gun, and various martial arts skills. Founded by Dr. Ignatius Piazza, this facility has grown rapidly to become one of the world’s premier small arms training institutes. I decided this year to begin taking some of the free classes I received in my gift Legacy Membership and started with their basic 2 day Defensive Handgun Class. Inprocessing was smooth and efficient. The gate opens at 06:30 sharp, and even though I arrived early, there was a line to get in. The gate attendant opened the gate a 0630 sharp, and there were staff members directing traffic to the in processing/weapons inspection area. 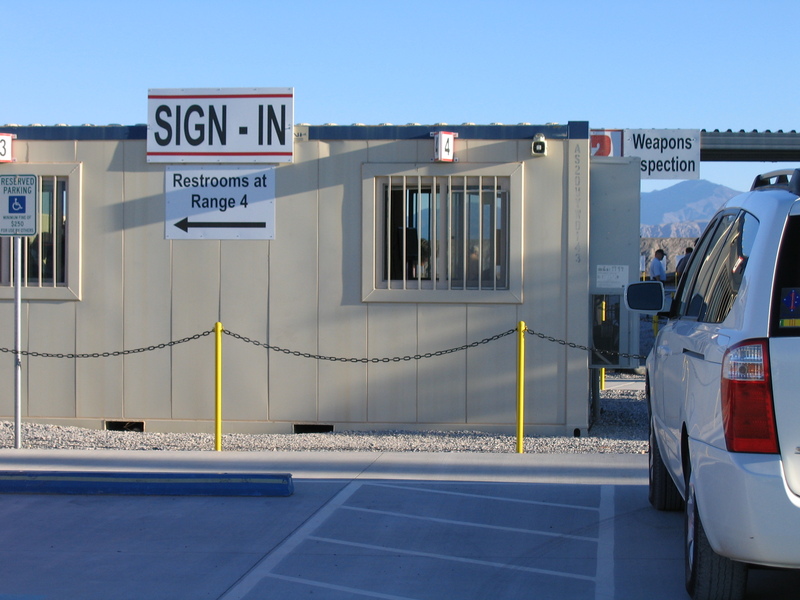 Check in and range assignment was quick, and then you move to a weapon inspection area. It is basically a mini range where an instructor checks the mechanical functioning of your firearm and then checks your ammunition with a magnet to insure no steel core ammunition is being used. Front Sight will not allow either hand loads or steel core ammunition to be used on their ranges. Once your weapon has been checked and cleared, they give you a yellow badge hangar to wear signifying your weapon is unloaded and then you are free to wander around untill the briefing lecture at 08:00. here you get oriented on range policy and procedures and you sign your legal waiver. 0900 on the range the class begins, and you turn in your yellow badge hangar. 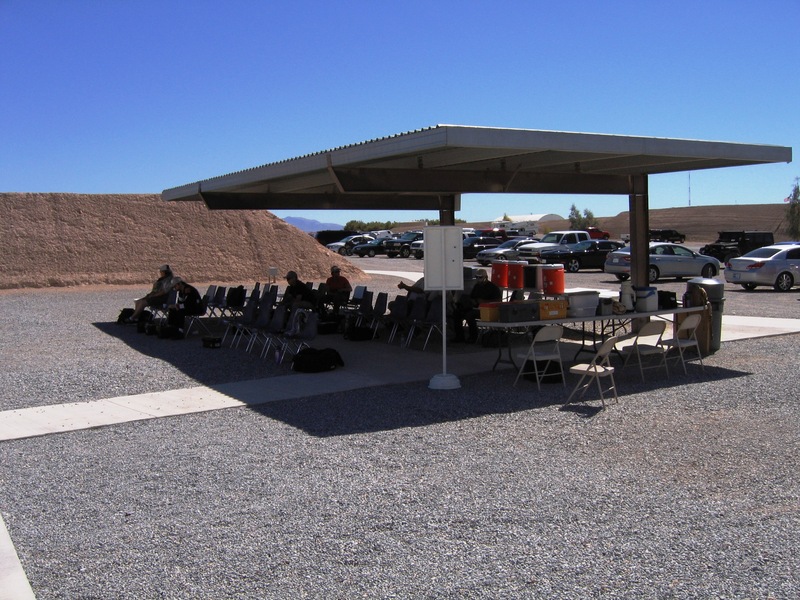 The outdoor covered class area is right at the range you are on, and water in coolers is provided. Instruction begins with an introduction of the staff. Our Range master Instructor was Daniel Dickson who turned out to be one of the best instructors I have seen for a long time. His friendly sense of humor put the class at ease ( most of the students were beginners) and the training began to flow. They broke the group of about 40 into two relays of firer/coach and you rotated. While one student was firing, the other observed and coached. The initial instruction, though, was how each coach was to prevent his firer from making a major safety error such as turning around with his loaded weapon. Subjects were introduced in a logical manner. First was classroom demonstration by the instructors, then we went to the line to practice it. 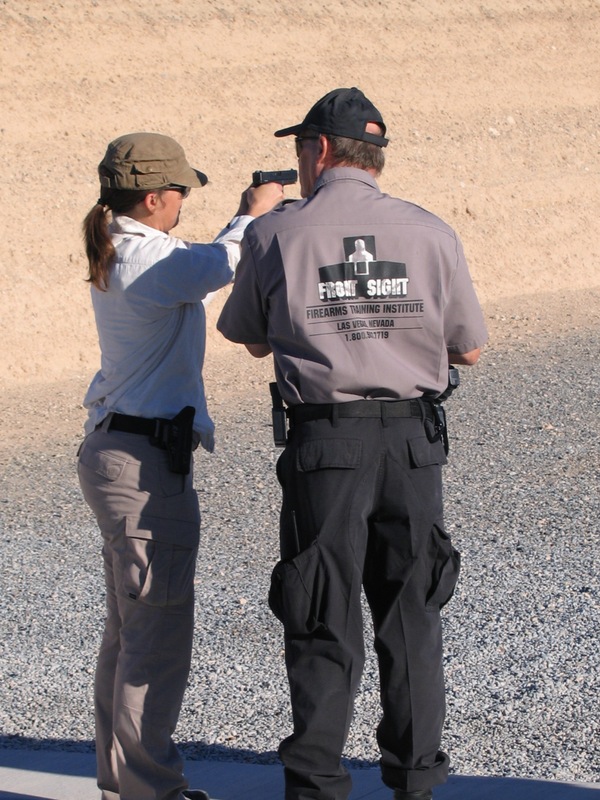 First day subjects included position, loading and unloading( al movement with the handgun begin with a chamber check) presentation of the handgun (drawing and reholstering), sight alignment, and trigger control. Trigger reset was drilled during two shot drills. Individual instruction was provided each student and the instructors were constantly moving up and down the line, observing students, and making on the spot corrections. During the lunch break, there was a lecture in the main hall on the color codes of awareness and combat mindset. Front Sight teaches a 5 color code series of white, yellow, orange, red and black. This is a slight expansion of the 4 color system. Both work. Day two was a continuation of skills learned on day one. New subjects included malfunction drills, and head shot drills. The students were taught to fire two shots into the chest cavity area, and observe the results. If the assailant didn’t stop, you put one in the head. front sight uses their own silhouette target designed by Dr. Piazza. The drills were fun and challenging. Both tactical and emergency reload were taught and practiced. Towards the end of the day, each student got to do a drill in a mini fun house were different targets appeared in different areas and it was “shoot-no shoot” . At the end of the day, each student was given a certificate of completion. 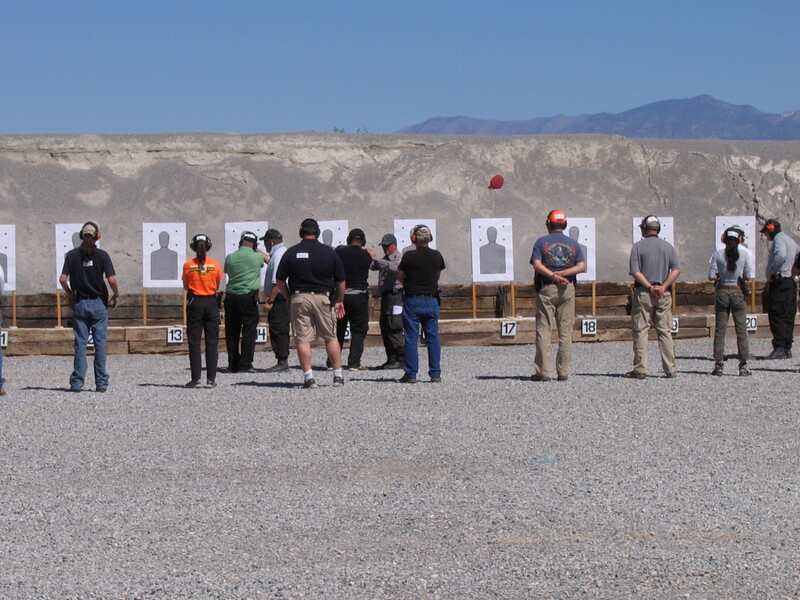 This was probably one of the best entry-level defensive firearms courses I have ever seen. The in processing was smooth and could be easily described as friendly military precision. Safety was always given the serious consideration it deserves, and I never felt uncomfortable even in a class of mostly newbies. The facility is first class. The only negative I can say is that the prices in the Pro Shop are outrageous compared to what you would pay on-line. The instructors were friendly but professional. There was no macho swaggering that you see in some training. They were also willing to demonstrate their competence when demonstrating shooting techniques. When they corrected a student it was done in a friendly and helpful manner. The curriculum was accomplished by a combination of open air class then direct to the line for practical application. 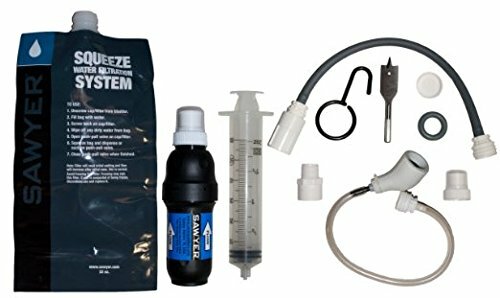 This allowed frequent breaks off-line without loosing valuable training time. If you are an entry-level shooter that wants first class firearms instruction, then Front Sight might be for you. I intend to go back and check out their advanced courses.